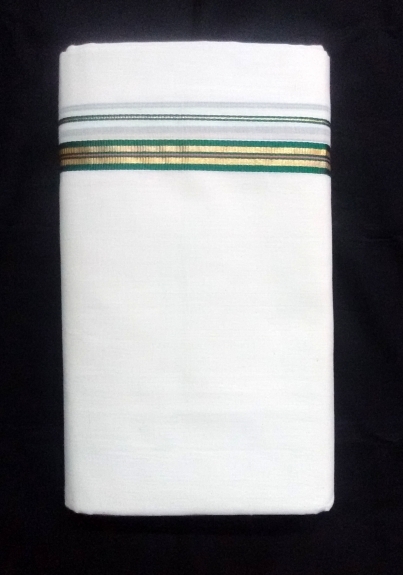 Size of the dhoti is 3.70 meter length with 1.27 meter breadth. 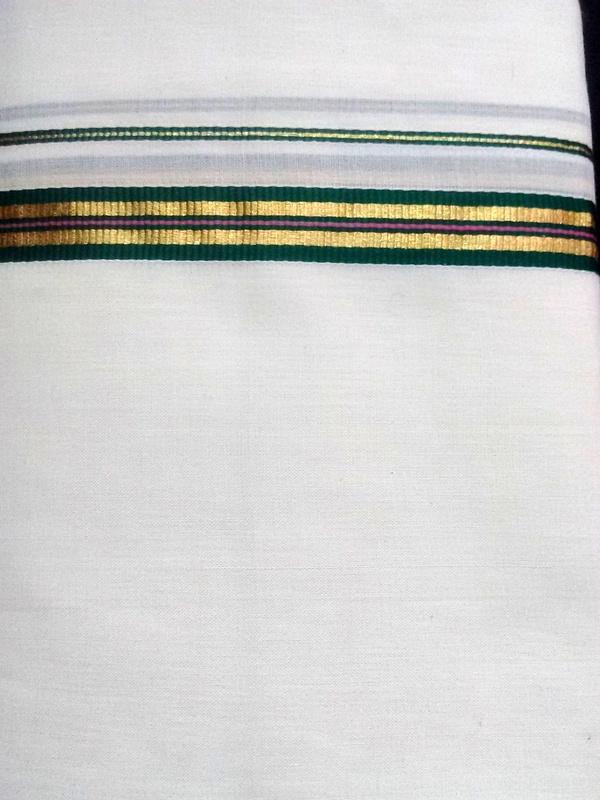 Size of the border is of Half inch width. 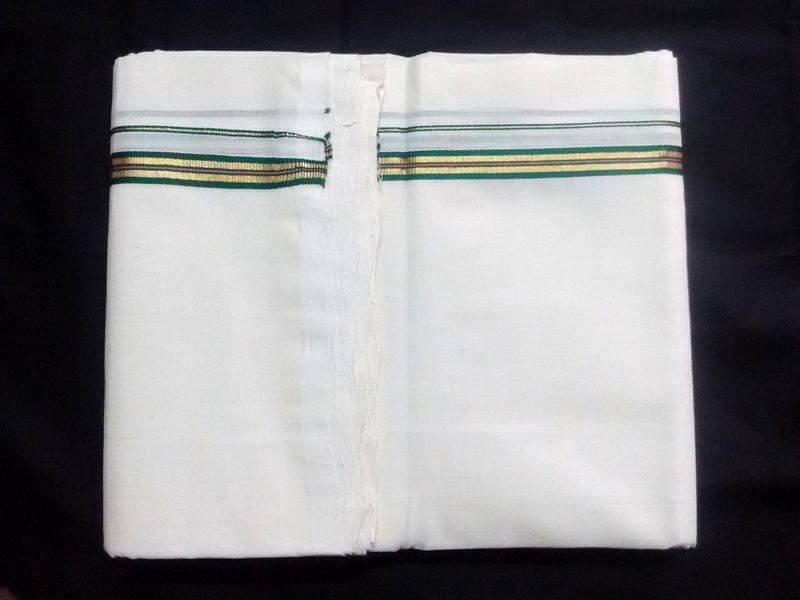 End of the Dhoti is filled with green with Gold Zari.